Adjust your quantities as needed, no need to be precise. For this batch I used around 3dl (uncooked) quinoa. Put your Quinoa in a mixing bowl, add your finely chopped Spring Onion. I love a lot of Spring Onion, but the kids don’t, adjust to suit your family. Add 1 large egg or 2 small eggs (for slightly lower fat, add more egg and less cheese), stir with a fork, don’t over stir as you don’t want to break the quinoa. Add the cheese and stir again. 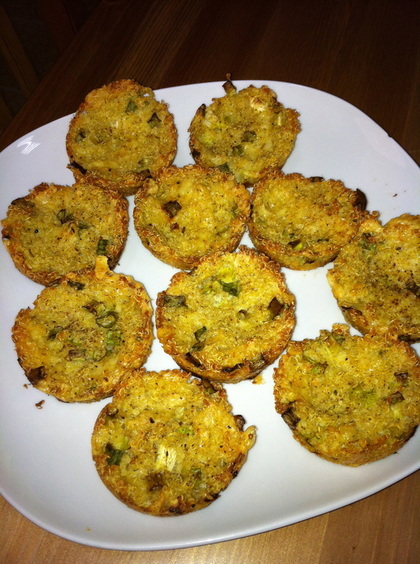 Pop spoon fulls of your quinoa mix in your well oiled muffin tin, press down once they are all full, you want it to lump together nicely, if it seems crumbly, don’t worry, once the cheese melts in the oven it all glues together. All done! These cups keep for a few days in the fridge and are perfect for lunch boxes! 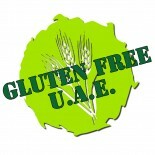 This entry was posted on 14/04/2013 by glutenfreeuae in Lunch Boxes, Recipes and tagged glutenfree, lunch, lunch box, quinoa, school lunch, vegetarian.